← Calvinism >> Moderate << Lordship "salvation"
I have often heard the term “American Christianity” bandied about by Lordship Faith preachers as if it is some sort of an inherently-evil nomenclature. Lordship Faith writers and preachers such as Paul Washer, David Platt, and Francis Chan use the term as a slam against all but whom they deem to be the most committed Christians in America. Francis Chan in his book Crazy Love labels the masses of American Christians as “the lukewarm.” Then in one fell swoop he consigns them all to hell. Only the really on fire minority of churchgoers will make it to heaven, in Chan’s teaching. Based upon what I read in Crazy Love, possibly even the Apostle Paul himself would not pass Chan’s “lukewarm” test. This entry was posted in Assurance, Assurance of salvation, Bible, Calvinism, Chan, Christian, Christianity, Cross, Easy Believism, Eternal Security, Faith, Free Grace, Grace, Hope, John MacArthur, John Piper, Lordship Faith, Lordship Salvation, Once saved always saved, Reformed theology, Religion, Salvation, Secure salvation, Security of believers, Security of the believer. Bookmark the permalink. To behind-the-scenes commenter, Kevin, it appears that your comments have been answered biblically, excellently and thoroughly already, especially by a regular commenter Jim and by a detailed article written by Dr. Charlie Bing. The administration feels that a continuation of the same line of argumentation would be pointless. First, even if 70% of Americans claimed to be Christians they would not be doing so purely from a free grace standpoint. Numbers like that usually include a wide section of religions and different groups including Catholics and others. I think America is partly in the state it is in because the true gospel has been changed or tainted in so many different ways. I see “free grace” as a reaction to those who have complicated the gospel. It is also true that some who call themselves “free grace” have gone too far. Anyone in the “crossless gospel” camp would fit this description. No performance of works is needed. I believe that Christ was illustrating to him how futile it was for the ruler to think that there was something that he could do for salvation. The ruler went away unsaved because he did not believe solely on Christ for salvation leaving himself and his works out of the picture. “Why would we be asked to daily take up our cross and follow after Christ?” This was a request for obedience and for believers to follow and learn from the Master. It was most definitely not a call to salvation. (As some like John MacArthur would have you to believe). Discipleship is also not a “test” of salvation. Remember, not all disciples (learners) are saved and not all saved people always truly follow after Christ as learners. As far as the verse about the straight and narrow. I believe that unfortunately, this will include those that have overcomplicated the gospel with steps of obedience(discipleship, turning from sins, reforming of life) of promises of future good works etc. Hello Kevin, thanks for joining the discussion today. Regarding your skewed figure of 70% of Americans being born-again Christians, just from my own personal observation, I would estimate that the accurate percentage is nowhere remotely close to 70%. Salvation by grace alone through faith alone in Christ Jesus alone (justification) is a separate issue from sanctification—the process of growing in the faith and serving God following salvation. Ephesians 2:10 says that good works should follow salvation. A believer in Christ should desire to serve him; it is the right and proper thing to do. Dr. Charlie Bing: “There is every reason to think that those who have believed in Jesus Christ as Savior and are consequently born into God’s family will experience a changed life to some degree. Some would say that this changed life is evidenced by good works which proves they are saved. If that is true, then the converse is true: if there are no good works, then there is no salvation. In this view, good works (sometimes called “fruit” or evidence of a changed life) prove or disprove one’s eternal salvation. Some passages are used to contend that works can prove or disprove one’s eternal salvation. Probably the most common are James 2:14-26, John 15:6, and Matthew 7:15-20. But James is writing to Christians about the usefulness of their faith, not its genuineness. Likewise, in John 15:6 Jesus is talking about fruitless believers and compares them to branches that are burned, in other words, not of much use. Matthew 7:15-20 warns against false prophets (not believers in general) who can be evaluated on the basis of their evil deeds or heretical teaching (not an absence of works in general). Good works are relative. While a person’s behavior may seem excessive, it may actually demonstrate great progress in that person’s Christian growth. A man slips with a curse word that startles other believers, but those believers do not know that before his conversion, curse words flowed freely. The amount of fruit must be considered in the context of one’s total past life, a difficult thing to do. It may also be relative to the amount of sin in one’s present life. For example, if a Christian were to commit adultery, we might focus our thinking on that sin so that we ignore the other good things he is doing. Why did Christ ask the rich young ruler to sell all he had and give it to the poor if more than just a statement were not part of accepting Christ? Why would we be asked to daily take up our cross and follow after Christ? I can not converse on what type of theology my thinking follows, but I do know Christ died for me. He is part of the Trinity, Father, Son and Holy Ghost. I believe that His death was the atoning blood sacfice covering my sins. I believe His resurrection from the grave gives me new life. I believe I am walking in a new nature that abhors sin and desires to love the Lord with all that I am. I believe that the Holy Bible is the perfect word of God. I don’t preach lordship as you refer to it, but like Christ I will overcome because I have accepted Him and will submit my will to the Father’s. I believe that accepting Christ as my Lord and Savior gives me His heart and nature. I will submit and be obedient to God and His Holy Word. John, yes he makes some interesting points. Some of which I’ll have to examine more fully. For me it is hard to think that I can analyze that which is spiritual the same way I can that which is physical. It can be easy to assume too many similarities but I see the logic that he uses. I too would prefer the term begotten again to born again. I think this much is sure as believers: we still have an old nature, we have the new (spiritual) man, God indwells us, and we are eternally secure. Our spirit is never extinguishable and Christ’s blood always covers our sin. As far as the ins and outs of spiritual genetics I think some of that is left up to speculation. I just trust God that he has done and can do what He says in His Word regardless if I can every fully comprehend or understand all of the details. Thanks for you kind words. I’m sure that you are a terrific and completely secure employer. Thanks, as always, for your ongoing contributions to this site. Bruce, we are blessed that your gift for teaching has flourished. I think you made some excellent points. Particularly regarding the leadership feeling threatened by anyone else having much knowledge of the Scriptures. In my vocational life, I try to hire only people who have skills or knowledge that I lack. It is foolish to “hire down”. Greetings John G.! Thanks for your comments. It is interesting that I had a similar experience to yours in regard to teaching the Bible. In one of my early teaching attempts, I was assigned to a small group of middle-aged Christians. I came to the work having an earned Master’s degree in Biblical Studies from a respected seminary. As I tried to bring some in-depth insights from the Scriptures, within several weeks my teaching style was rebuffed. The people preferred a round-table light fare discussion format in which there would be no deep teaching. Everyone would have an equal voice in the discussions, no matter how little or how great was his or her knowledge of the Bible. Since I was not willing to limit my teaching style to these set parameters, I was quickly pressured to resign. Praise God that I am now in a setting in which I am allowed to teach a weekly Bible class to adults in which I am given a free hand to teach as the Lord leads and enables. I take that role very seriously and each week I bring an in-depth message from the Bible. And the people, I have found, are HUNGRY for the Word! 1. The leadership of a denomination or a local church might feel threatened by anyone else having much knowledge of the Scriptures. Praise God that my pastor welcomes and encourages members and teachers to study and read the Bible in depth. 2. Certain churches or denominations may feel that it is easier to keep the people in line, so to speak, by keeping them ignorant. It’s the mentality, “Let us do the studying and we’ll tell you what the Bible says.” One of our missionaries once handed out dozens of Spanish language Bibles to a small village in Mexico. Within days, local Catholic priests confiscated all of the Bibles from the villagers. 3. Some Christians feel that the local church is a place primarily for entertainment or fellowship, not for learning. My view is that Christian fellowship flows abundantly out of an environment of learning the wonderful truths of the Bible together! the mount” and giving me salvation language! I knew this was wrong. And where was the assurance of my salvation? JMac, being a Calvinist, does not have any! I noticed that nowhere in his book did he give a declarative statement of what was necessary for salvation unless he added a bunch of baggage along with it. After much striving to comprehend his doublespeak, I threw away his books and returned to Free Grace teachings. Thank God for His Truth! Thanks John G! It is interesting that the Systematic Theology textbook from the Baptist Seminary taught free grace and yet the denominational statement of faith, which was in place long before 1980, is squarely LS. I am thankful that you found a good environment in which to share your Biblical knowledge. My wife grew up in an SBC church and had never heard the hardline LS concepts that are now widespread in that denomination. I was not so fortunate. There must be someone in the SBC that believes the LS lies – they did not write themselves. quarterly. I was teaching from my Systematic Theology Text book from the Baptist Seminary. They told me that I could not teach from that book, that only the Pastor could teach from that book. Unfortunately, the Pastor had no Seminary training. When I mentioned that fact, it made no difference. So, I moved my membership to a Conservative Baptist Church; I told the new Church what I wanted to do, and they welcomed me! I cannot explain why the SB Church refused my attempts to teach deeper truths, but they did. They knew the Gospel, and they knew what I wanted to teach came from their own Seminary, but they would not allow me to. The teaching material that they insisted that I use was at best third grade level. My class consisted of persons of 40 years old and up, but their Biblical knowledge was kindergarten level. deeper and more precise interpretation of God’s Word. They simply wanted kindergarten level, and I would not teach that level. Maybe the problem was with me. Anyway, I left and taught where what I taught was accepted. John G, the following is not intended to be an inquisition. I have been struggling mightily with how to think about the LS error, in terms of salvation. First, let me state in the most direct terms that I believe that anyone who has ever been saved by Grace through faith in Christ alone is eternally secure – no matter what twists and turns their life may take, including falling for LS. Second, I think that there are many believers in LS churches. Third, I am a Christian, not a good Christian. 1. Why would the SBC church not allow you to teach Free Grace? 2. Did the church leaders believe in Free Grace? 3. If the answer to question 2 is yes, then see question 1. 4. If the answer to question 2 is no, then what do they believe? 5. If LS is a false gospel, can someone believe both LS and the Gospel? 6. If the answer 5 is yes, why should we spend any time fighting LS? I have entered into this dangerous terrain before, and drew a lot of ire for being judgmental. But the Bible says that salvation is by Grace through faith, not of works. I interpret that to mean not by faith and works, but by faih alone. I was raised in a S.B. Church. I am aware of the sad situation with their lack of depth. Most of the people that I grew up with were and still are good Christians. One of the problems lies in their use of the “Quarterly”. They would not allow me to teach Free Grace etc. They are in some ways willfully ignorant! I still love them and pray for them. Jim F, excellent analysis. The way that salvation is presented at different SBC churches is all over the place. So, the biggest protestant denomination in America and the most well-known evangelist are pretty squarely in the LS camp. Thanks. That is an excellent analysis of John’s seemingly dead-end situation with his friend. Thankfully, you and John agree. John, don’t give up on your friend. The Truth is still the Truth. I am still dismayed that reasonably articulate men who “know” the Bible (your friend and John’s) cannot see the fallacy of those terrible SBC LS teachings. Just think — thousands of SBC churches on street corners throughout this country and the world are spouting the same terrible lies. Shamefully ignorant or it is an awful Satanic conspiracy. John, thanks for those thoughts. I have been put recently in a position where I am also dealing with some about these kinds of issues. Let me give my thoughts and please excuse me if this gets long. Let me know what you think. I have seen this wording before and here are my issues. First it makes it sound like regeneration precedes faith. I can accept the first sentence, but the second seems to imply that regeneration is the catalyst. If that was in doubt the the third sentence proves it by saying basically that repentance and faith are experiences that happen to us through God’s grace. Second, I would expect this kind of language from someone who holds to the first point of Calvinism (Total Inability). Needless to say I don’t believe the scriptures teach this. This to me is exactly Lordship Salvation. I don’t like the word genuine there. To me repentance is either a change of mind or it is not; therefore, it does not require the modifier “genuine.” Adding the word genuine to me implies that one is then looking to the “fruit” or “works” afterward to gauge whether or not the person was actually saved. This can lead to problems as mentioned in other posts. To me it steals our focus off of God and puts it back upon ourselves. The other glaring problem here is the Lordship definition of faith in the next sentence. Faith is not a promise on our behalf, a bilateral contract, or submission to His Lordship. It is believing in Jesus for salvation which presupposes a repentance or change of mind. More on that later. I’ll say here that accepting the gift (Eph 2:8-9) is by faith. It is not a commitment! To throw the idea of it being a commitment adds the possibilities that: your commitment might not be deemed good enough, you have the potential to fail in your commitment thereby making your salvation void, you are focusing on yourself as in adding your own merit to salvation, or the idea that you need to have an upfront commitment to discipleship and good works. Now to evaluate what they say the commitment is. I will say that this starts out fine. All men need to be shown that they are sinners in need of a Savior. However, I would like to clarify the next part. It is fine to me to say that repentance is a change of mind – that I am lost (in sin) and need a Savior (Jesus) whereby I turn to Him and trust (believe) Him solely based upon His gospel. The facts of that gospel are that He is God, he lived a sinless life, died on the cross for my sins and is raised up from the dead and is a living risen Savior. It should be a given that Jesus would be your Savior forever. I don’t really like that wording. The second half I think is redundant to trusting Jesus for salvation. If they mean here accepting that God has regenerated me and caused me to repent and believe then no. I have seen though where LS teachers take the idea of turning from sin to mean something else. They often liken it unto forsaking all to follow Christ. I think often times to much emphasis in salvation is focused on our sin and not on our Savior. Part of the idea of faith is believing that God is the answer and that it is nothing of our own merit. The other problem is that some take it to mean that we must either turn from all known sins or be at least willing to turn. This is also error. I say that it is best to realize that you are a sinner and turn to Christ believing in Him for salvation. Period. It doesn’t have to be more complicated than that and no this is not “easy believism” (for those of you who may think so). We do need to trust that Jesus paid the full penalty. He basically earned our salvation. Why then would we add human merit to the equation? This is total Lordship Salvation. Someone show me where this is in the Bible in regards to salvation? Of course I do not equate discipleship with salvation (conversion) say as a Francis Chan does. A believer can be a disciple or fail to be a disciple. Not every Christian will always be the kind of sold out disciple of Christ that they should be. There can also be disciples that are not believers – the Bible mentions some that learned for a while but never believed. I too have come across learned Christian men who do not see much of problem with those kind of statements. Part of it is that they, either agree with LS, aren’t aware of some of the issues, are used to that type of wording and haven’t really considered the problems, or they don’t like to stir up controversy in their churches. As far as their ability to spot other errors I’d say that I would be skeptical too. They may be able to at times but a flawed hermeneutic or flawed system of theology leads to not being able to rightly divide the Word of truth. If only the “American Church” stood for those who practice 2 Tim 2:15. Thanks so much for taking time to post your informative and well written comment. You seem to fit right in with our desire to see God’s Gospel of Grace spread clearly throughout the world, one little spot at a time. We pray you will continue to visit and comment when you feel it appropriate. That SBC SoF is much worse than I thought. If your friend understands God’s Grace — how can he not see the obvious error, especially when you point out the blatant lies to him. “Willful blindness??? Obviously!!! But don’t give up on him.. keep pushing the Truth. Jim F, I showed the SBC statement of faith to a Christian friend of mine at work. He is not an SBC member, but does not see anything wrong with it. Here are the excerpts that I showed him:. “Regeneration, or the new birth, is a work of God’s grace whereby believers become new creatures in Christ Jesus. It is a change of heart wrought by the Holy Spirit through conviction of sin, to which the sinner responds in repentance toward God and faith in the Lord Jesus Christ. Repentance and faith are inseparable experiences of grace. The gentleman with whom I shared this is a highly intelligent Christian who believes in Grace. My question is, if Christians can not see errors of this magnitude in the presentation of the gospel – even when they are pointed out to them – then how would they ever recognize any error? You said above that “some believers in these churches do not hold to LS but are unaware of the issues”. I think there is some willful blindness going on. I’ve experienced the LS worship environment and it is basically worthless. It offers a lot of talk about Jesus as Master and Lord and is washed down with a lot of “sovereign grace music” but its works oriented gospel leaves lost people lost and leaves believers frustrated and confused. Jim F, I know that the Gospel of grace has always been taught somewhere. You were fortunate to have been brought up in a Grace-oriented church. Like you said, the Gospel of Grace has never been the majority view. I can’t think of any of the large denominations that are very clear on the Gospel. I also agree that there are many who are not aware of the LS issue. My wife said that she always knew something was wrong at the SBC churches we attended, but could never put her finger on it. Just today, she told her mother (a lifelong SBC church member) why we won’t go to SBC churches anymore. Her mother had no idea that the SBC official statement of beliefs incorporates a false gospel of turning from sins and commitment as part of becoming saved. The issue of salvation by Grace vs. works is THE issue in the professing Christian community. People that attend the mainstream LS denominations will not be told about the dangers of LS from the pulpits at their churches! They will not learn that LS is a false gospel from their Sunday school materials (bought at the denominational bookstores). They will not learn about it from their deacons or small group leaders. They will only learn about it from people who are clear on Grace and who are willing to take a stand. i don’t know how anyone who understands and believes the Gospel could co-exist in an LS worship environment. I think that the Gospel of grace has always been taught somewhere since the completion of Scripture but it is has never been the majority view. We know that broad is the way to destruction. In my experience being raised in a small independent Baptist church and going to a small fundamental Baptist College, there are many that hold to a grace position untarnished by LS teaching. It is just that LS is making inroads into formerly solid churches and schools. I would also say that some believers in these churches do not hold to LS but are unaware of the issues. Many are like coals that need to be stirred up. There is also a strong need in American churches for Biblically sound spirit-filled preachers who will stir up the congregations. I think far too many leaders of Baptist churches and schools in America are more than content to cozy up to people like Piper and JMac instead. I also think that some would rather have a larger ministry than to be to harshly aligned against error. There is also the plague that is the desire for influence and recognition. Part of the draw to conservative evangelicalism and new evangelicalism is the intellectual “prestige” and national recognition that can come from it. Some men just aren’t comfortable being outliers though in many ways they should be. Bruce, I realize your open questions were not addressed to me, but I have some thoughts from my journey. First, the absurdity of Macarthur and other “over the top” LS teachers helped me to know something was wrong with the gospel that I had been taught and believed (i.e., turn from sins and commit for salvation). Second, I started to see that the overwhelming majority of churches, denominations and ministries violated the Gospel in some major manner – usually with respect to denial of the atonement, denial of the doctrine of grace or denial of eternal security. Third, when I looked back to see if I could find an inflection point at which the church began to abandon Grace, it went waaay back! The statement of faith of the Southern Baptist Convention, for example, was penned in something similar to its current from long before MacArthur, Piper, Sproul, etc. were even born. Similarly, Spurgeon and other reformed Calvinists were spewing their “turn or burn” messages a long time ago. I am sure that Satan has “run the same plays”, in one form or another, since the attack on the Galatian church. My belief is that God’s Gospel of Grace has survived in spite of, not because of, the mainstream denominations and ministries. I simply do not believe that most of the churches – whether in America or abroad – taught Grace until the modern LS guys came along. Up until about a year and a half ago, I was not even aware of the Biblical Christianity espoused on this site and in a few other places (Northland Bible Baptist Church, Clear Gospel Campaign, Napier Parkview Baptist Church). We would be considered outliers from the mainstream – the “lunatic fringe” by most others. Great to have you join our discussion! Thanks for the overview on the origins of modern LS teaching—very informative, particularly in how you detailed the connection between Puritanism and European philosophy with modern-day Reformed theology, which you point out is quite different from Calvin’s Calvinism. You rightly intimate that the European philosophical model has superceded sound biblical dispensational exegesis among Reformed NeoCalvinist teachers. I also agree with you that the term “American Christianity” can have a broad scope of meaning, historically and otherwise, a fact which others addressed as well. I appreciate your honing in on the LS issue, though, as that was the original intended focus of this blog. You mention that MacArthur, Piper and Sproul speak of “American Christianity” with an elitist emphasis. I agree. I have noticed that in particular in the writings of John MacArthur. I addressed this issue in an article that I wrote entitled, “Grace Baiting” (available at Free Grace Alliance: http://www.freegracealliance.com/pdf/baiting.pdf ). In an article that I wrote a couple of years ago, I called John MacArthur “The granddaddy of the modern Lordship Salvation movement.” Do you think that such a title is accurate, or do you think that Piper, Sproul and others were equally responsible for the widespread acceptance of LS theology in recent times? And, a closely related question, do you think that the teaching of Piper, Sproul and MacArthur are primarily to blame for the modern-day rise of radical LS teachers such as Francis Chan, Paul Washer and David Platt? Thanks for your scholarly insights on the history and development of American Christianity. Since I do not have a formal study in biblical theology, I am still confused by the different types of dispensationalism. Thanks for your excellent summation of the issue of “relationship.” It appears that we all agree with what you said; Jack made some excellent points on the subject and John and Eddy did give us some sound caveats as well. I find it so sad that we who have been Christians for a long time and who have used various Christian terms freely for decades now have to be ever-so-careful in the way that we express ourselves. I feel as though I must parse every word choice carefully. That’s because the LS crowd has hijacked or redefined much of our standard Christian terminology to fit its own theology and/or to caricaturize Free Grace theology. The cults have redefined Christian terminology since their inception and mainstream Christianity has largely ignored their misuse of terms as, well, cultic. But I find the trend of LS misusage of terms to be more dangerous because it exists within the church and it’s more widely accepted. Thanks for your comments. I agree with you, John, and Jack. Jim F, I understand and agree with your point. John and Eddy, regardless of whether or not the word relation is in the King James Bible, we do have a relationship with God after salvation. The Bible does talk about the idea of adoption of sons. It also talks about our eternal inheritance. The thing is that we can have an ongoing relationship with God once we are believers. The picture is God’s ongoing relationship with the bride of Christ – the church. I think that Eddy has rightly pointed out though that there are those out there who have distorted certain words and are using them to confuse things relating to salvation. There is both a positional aspect of out relationship with God and a day to day relationship. However, our salvation is not determined by our day to day relationship. I John 1:9 talks about one way to improve our day to day relationship with the Lord. Just like the sin of a son grieves an earthly father so does our sin grieve the Heavenly Father. Bob T, thanks for your post. Some people do not realize that the Lordship teaching comes from viewing scripture from a non-dispensational lens. Could you also explain further your idea on Shemitic vs Japhetic eyes? I’m not sure that I’ve heard it put quite that way before. I’m also not quite sure how I am a victim of American Christian influence. Eddy, very interesting! I think the LS folks use “relationship” as a code word for commitment. I also don’t like the use of the term “Christ follower” to describe a Christian. That implies discipleship as being the same as salvation. I can find neither the word relation nor the word relationship in the King James Bible. I agree with your formal definition of the term relationship. I think the issue is too many of the LS preachers, including those from the Roman Catholic Church, use the term relationship to imply something one needs to do to establish and maintain, i.e. relationship between two individuals, or between husband and wife. Satan is good at using a legitimate term to mean a totally different thing. The word repentance is used in such a way. Eddy and Jack, I am not crazy about equating believing with having a relationship. The reason why is I have had an acquaintance at work tell me that believing in the Gospel was just “head faith” – an “intellectual assent”, and that you had to want to have a relationship with Christ to be saved. This creates unnecessary confusion and can be interpreted to mean that something is required in addition to belief. I told him that I did not buy into the “head faith” and “heart faith” distinction. I told him that intellectual assent was believing that Christ died for man’s sins and that salvation was believing that Christ died for my sins. Just a thought — not necessarily in defense of Rokser but as an observation. Relationship = related by blood — similar to our earthly related family — and it is forever — just as our relationship to our Savior (by His blood) is eternal when we trusted Christ as Savior. Does not require any maintenance but is perfect and eternal. Yet, Fellowship requires maintenance and is fragile — not eternal but varies day to day as we are obedient or disobedient. It is similar to the discussion of Standing (eternal) vs. State (varies) of the believer. I try to differentiate between those two totally different words when I speak with folks.. I have to agree with you and John. Thanks for your excellent comments as always. I agree fully with you on your assessment of Grace Family Journal, Denis Rokser, and the statement of faith of Dublin Bible Church. There are over three hundred of Denis Rokser’s sermons on Sermon Audio. I just listened to the oldest of his sermons the first time last Sunday. I agree with most of what he said in that sermon, except he stated that believing is having a relationship with God. If I were him, I would not use the term relationship. Salvation is from God, while relationship, in many people’s common understanding, is both ways, and requires active maintenance. The quote from Dublin, “The Christian seeks to live under His controlling presence daily. “ may not be a backdoor / front-door entrance to Lordship Probation — it sounds like a jump over the fence directly into the mess. Yes John, as you say it is presumptuous and just as damaging as JMac being upset because he sees Christians not living the life he thinks they should.. So he instigates a rule of conduct — making doubters of believers. How can such a statement be innocent?? Eddy, regarding Grace Family Journal – they are generally very discerning regarding the content of the articles they publish, but have frequent content from authors that are not consistently clear on Grace. Again, the articles they choose to publish are generally good. Denis Rokser is a Grace champion, whose works are excellent and extremely quotable. The only qualm I have with Rokser is that he has used quotes from Charles Spurgeon in certain of his articles, without caveat or qualifcation. He also affectionately referred to Charles Spurgeon as “the prince of 19th century preachers.” Spurgeon had moments of lucidity regarding Grace, but long seasons (and many sermons and writings) that were anything but Grace-oriented. Regarding Dublin Bible Church, I am not really familiar with them. I have reviewed their statement of faith and think it is pretty good, with one possible exception. I think the last sentence is a little bit presumptuous. A Christian should seek to live under His controlling presence daily, but many Christians do not. I think that this kind of statement could lead one to base his assurance on whether or not he is seeking to live under the controlling presence of the Holy Spirit (commitment, submission, surrender – all works) daily versus having believed in Christ unto salvation. 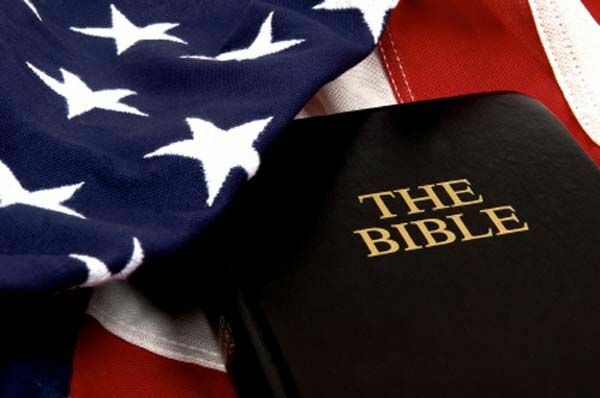 The term American Christianity or Christian appears to have a broad meaning. Historically it would speak of the entire broad history of Christianity in America which has many faults but also many Biblical Aspects. The LS extremists have come to use it in a pejorative way. The LS moderates are not so prone to use it only that way but some in a more cultural and historical way. Those of the JMAC, Piper, Sproul,et al theological way seem to use the term in an elitist way. However their very strain of Reformed Soteriology comes through the early American Colonial Christianity of the Puritans. As both Bell and Kendall have shown in their research and books, Puritan Calvinism is not the Calvinism of Calvin but the ongoing process of post Dort Calvinism which made assurance evidenced by our works a primary emphasis of true faith. This is English European theology come to America. However, the revivals and with emphasis on looking to the Bible alone brought forth a new Biblical theology freed from the European Japhetic theology with its Greek philosophical influences. There emerged a more exegetical approach and less philosophical. This placed a renewed emphasis on Israel and Hebraic or Semitic foundation to Biblical theology. Some of this emphasis became systemized into Dispensational theology which also freed the Gospel from the works examination for assurance and placing the work of Christ in our behalf as the renewed emphasis for assurance. This was coupled with pure grace by faith alone and not entangled with works for assurance but not avoiding works as a natural result of the new nature given with regeneration. There was an expectation of Spirit generated works but not a test of such for assurance. This appears to have been the emphasis of Chafer. He acknowledged repentance as involved with salvation but not that which added to or further defined faith. J. Gresham Machen also saw faith this way. His book titled “Faith” does not support the LS concept of faith. Adolph Saphire, a 19th century Jewish scholar, stated that we often err when we interpret scripture through Japhetic eyes instead of Shemitic eyes. This is the error of the LS Soteriology. They are Neo Calvinists reverting to the influence of American and English Puritanism. J. Piper rejected the BJU fundamentalism of his father and went to Wheaton where he was influenced by left rebelling Evangelicalism running from Dispensationalism. He then journeyed to Fuller where he states he was influenced to love the Puritans by Daniel Fuller. Daniel Fuller was rejecting the inerrancy of scripture and was anti Dispensational. Alan Ladd was at Fuller setting forth his concept of the Kingdom while staggering from bar to bar in Pasadena. He died an active alcoholic. Then Piper went to Germany to get a PHD from Wittenberg where the present Pope has his PHD from. Piper is extremely intellegent and articulate. He writes in an attractive manner. However, his Soteriology is close to that of Ellen White and the Seventh Day Adventists who hold to a final examination of works at death to determine if one is Justified and worthy of salvation. The LS Gospeleers are victims of American Christian influence just like us all, But they have chosen the Puritans as their ones to look to. Some have turned away from being former Dispensationalists to adopting Puritan soteriology which professes by Grace through faith alone while adding baggage that makes the faith alone often hard to see. It is an irony that I would only be able to find a handful of ministries still teaching free grace Gospel in the land of the last stronghold of Biblical Christianity! Some of the ministries on the list are pretty new to me. I would like to hear from John of his take on Dublin Bible Church and the Grace Family Journal if possible. I read the thread “The Truth LIES Somewhere In Between”! John G, I like GraceLife. I am not a fan of Middletown, due to what I perceive as “back-door” Lordship “salvation” – kind of a perseverance of the saints mentality. You might wish to check out the previous thread on this site called “The Truth LIES Somewhere In Between”. John! I would like to recommend to all at least two more websites that are Grace oriented. One is GraceLife Ministries, and the other is Middletown Bible Church. Both are Dispensational and Free Grace based. I have at least 60 different websites that I have found to be correct. Being retired and some what disabled, I have time to search and locate websites that are true. Try also “In Defense of the Gospel” Lou Martuneac website. This is where I found this website, which is truly a blessing. Bruce, thanks for emphasizing those verses. I believe that I saw somewhere that Jay Bakker claimed to have a revelation from God during a session of contemplative prayer where God basically told Him that homosexuality was ok. There are no limits to error when man goes away from God’s Word. It makes all the more skeptical as to why Chan, Piper and Moore would even engage in that sort of thing as illustrated in a previous post. Their error filled teachings are bad enough but I guess it shows the progression of error. John, thanks. I have to look into what those sites have to offer. It is true that there are so few truly good ones out there. Jim F, there are very few internet sites that present the Gospel without tainting it in some major way, just as there are very few churches that present the Gospel without tainting it in some major way. I started with searching the subject of eternal security and stumbled my way onto some Grace-oriented sites. Some proved to be very helpful, and others somewhat confusing or contradictory. I am most comfortable with this site, Clear Gospel Campaign, Northland Bible Baptist Church and Napier Parkview Baptist Church. I am also reasonably comfortable with Duluth Bible Church and Grace Family Journal. Thanks for educating me on the fact that Jay Bakker, radical multi-tatooed son of 70s’ televangelists Jim and Tammy Faye Bakker, was a co-founder of the Revolution Church. I was unaware of that fact. I also discovered through a quick search that he not only openly supports gay marriage (he hopes to have married gays as members of his church) but in 2008 he took a group of LGBTs (lesbians, gays, bisexuals, and transgenders) on a tour of large American churches in an effort to open up dialog and acceptance of these individuals in the greater Christian community. John, I’m glad to hear that you were able to find truth online. I did a search once on the gospel and it took almost three results pages to find a gospel definition that wasn’t tainted in some way. Many results were filled with statements like, “Will you turn from your sin and promise to live for Him? Jim F, truly scary! Since most doctrine is false, much of what is served up on the internet as Christian doctrine is also false. However, it was from the internet that I began to be exposed to Grace teaching. It was also from the internet that I was able to see the extent to which the mainline denominations had departed from Biblical Christianity. I have run into members of Southern Baptist churches, for example, who were completely unaware of the extent to which the denominational statement of faith is a thinly veiled false gospel of works. It seems that the “Lordship gospel” is spreading like a plague around the world. Paul Washer isn’t the only one influencing others in foreign countries with his false gospel. A person I knew in college, who is now on staff at Harvest Bible Chapel, posted on Facebook that he was on a trip to Romania and remarked how amused he was that the Romania seminary students were saying that John Piper was their biggest theological influence. I think we have to realize that once things are online they are available to almost anyone. Bruce, I can truly say that I don’t look forward to the day when the teaching of that of Jay Bakker or the Revolution Church is prevalent. The truth is that many will try to twist scripture to allow anything they desire. We are seeing true examples of this in our day. Bruce, I agree that the term “American Christianity” is most often used by LS advocates as a pejorative against Biblical Christianity. I also chuckled when I read your comment about it being a good thing that he (Washer) doesn’t spend much time preaching in America. I agree. Too bad he spends any time preaching his false gospel, no matter where! Thanks for your comments. Yes, I, too, have heard and read that term “missional” being used. I agree with your assessment that the term is largely used within Calvinist and Reformed circles. That’s what I’ve noticed too. I would add that it has, in particular, become THE new buzzword for an extreme movement within Reformed circles. The movement goes by many names. If you Google “Revolution Church” and its affiliates, you will get a pretty good look at what this movement looks like. Sadly, in my region, I have witnessed the movement, with its “missional” approach, literally swallow up and take over a long-established Christian church. Excellent analysis as always, thanks! You rightly listed five serious issues within the American Church. I’m sure that there are other categories which could be stated as well. It is valid, as you have done, to show problem areas in denominations and churches and to speak out Biblically against such false movements. I guess that my main beef about the term “American Christianity” is its misuse by LS advocates as a pejorative against a grace understanding of the Bible and Christianity. Paul Washer, for one example, has a sermon series about “American Christianity” in which he blasts his American audience, made up of thousands of youths coming from Christian churches, addressing them as comfortable, uncommitted, unsaved masses. He openly mocks a grace understanding of the gospel; he warns his audience that if they are trusting simply in some decision that they made for Christ alone at some point in their lives, then they are deceiving themselves (his strong implication is that they remain unsaved). He goes on to state that he spends most of his time preaching now in South America and other places outside of the U.S., where the audiences are more open to accepting his brand of a gospel. Well, that is a good thing that he doesn’t spend much time preaching in America, but it’s not so good for his audiences overseas. What a sad but true statement. I guess that we who hold to a grace understanding of the Bible have our work cut out for us! You said, “YES, some aspects were and are not as good as they should be, but take away Christianity and what do you have? The Tribulation, that’s what!” I agree! When the Christians will be removed one day in the Rapture (1 Thes. 4), there will go their influence and impact through the Holy Spirit working through their lives. Regarding MacArthur’s Master’s college, I, too, live within about 35 miles of its campus, so LS influence is seen in many churches in my region. I have also heard the terms “American Church” or “Western Church” used in a negative light, most often in part of a straw man attack in an effort to bolster an agument. I think you will also find that the idea of being “missional” also gets thrown into the mix. Or you hear talk of “missional communities” One site said, “This mission is based upon the life and mission of Christ: seeking the lost, serving the community, and sharing the good news, the story of redemption.” You’ll find that Platt and others frequently emphasize social aspects such as poverty and culture. It’s part of a trend in evangelicalism along with much of the Calvinistic and Reformed doctrine that it goes hand in hand with. Unfortunately many times when these types refer to the gospel it is usually to a discipleship/mastery type gospel. Bruce, interesting article. I have heard this term, along with terms such as “the Western Church”, usually used in a derisive way by LS folks. I have three things to say about it. First, these kinds of terms are often used by people who think that simply trusting in Christ for eternal security is not sufficient. People who think this are in a state of unbelief regarding the Gospel. Whether they believed it at one time and are saved is a different matter. They do not believe it now. Favorite Bible verses of this crowd, always taken out of context or misinterpreted, are James 2:19, Titus 2:12, 1 John 2:4 and so on. Second, the young man whose testimony you cited, above, has fallen in with a group of unbelievers (again, please note that I did not say unsaved – they may be saved, but do not believe the Gospel now). If he is saved, sitting under this teaching will rob him of his assurance of salvation and thwart his Christian development. If he is not saved, he is being led further astray by this teaching. We are admonished not to yoke ourselves with unbelievers. 1. Interspersion of believers and non-believers. Since many churches are not clear on the terms of salvation, neither are their congregants. 2. Entire denominations that deny the Gospel in one form or another – denial of the atonement (belief that salvation is assisted by sacraments, belief in purgatory or denial of eternal security), denial of the doctrine of Grace (baptismal regeneration, public confession of Christ, Lordship salvation, perseverance of the saints). 3. Churches that are built on the teachings of men instead of the Bible or in addition to the Bible. 4. Churches that are clear on Grace, yet are affiliated with denominations that are not. Having said all of the above, the Epistles were written, in many cases, to address real problems in the Church – with real believers. So were Revelation 2 and 3. The “American Church” and the “Western Church” are not exempt from the need for these messages. Interesting thoughts. It appears the Lordship Probation folks will go to any extreme, twisted vernacular to promote their same old end game.. namely a “good works,” commitment based “salvation” which is no salvation at all. And as you point out, the perpetrators are themselves, Americans and presumed Christians.. It is a fact — The Lordship faith lie, feeding on nominal Christians and unbelievers, is spreading faster than The Biblical Gospel of Free Grace. Calvinist stronghold and affliated with John McArthur’s college! Christians not just in America but anywhere are in need of prayer. False doctrine IS rampant. But we need to stand firm but loving in the truth. I hope that you like this new topic.